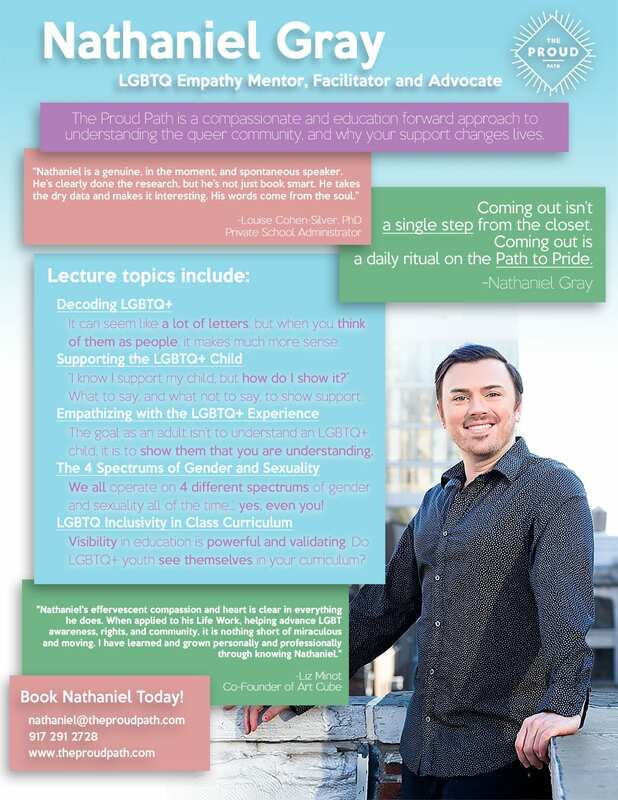 "Nathaniel strikes the perfect balance between empathy and expertise, with his guidance demonstrating both genuine kindness and a fundamental knowledge about issues faced by the LGBTQ+ community. Having seen Nathaniel work with students, many of whom are questioning their gender identities, going through the coming out process, or exploring their sexualities, I’ve seen firsthand his ability to make a difference and have an inspiring effect on those around him." Nathaniel Gray has worn many hats in New York City. 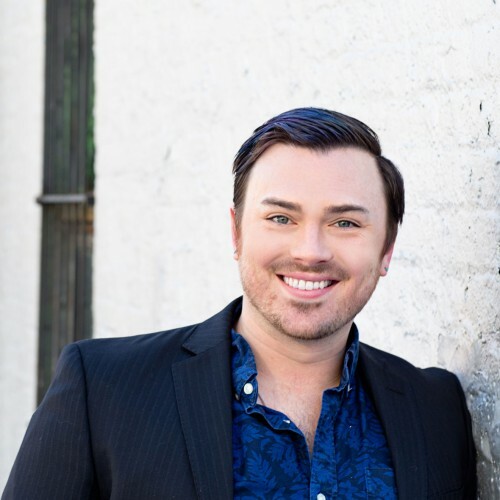 He is a graduate of the Musical Theater program at Pace University, a former educator and education administrator with Fusion Academy, and most recently, a graduate of Fordham’s Master’s of Social Work program. His mission is to eradicate the depression, anxiety and suicidal thoughts of LGBTQ+ adolescents through educating parents, teachers and social workers in empathy for the queer teen experience. He has worked with organizations dedicated to ending the epidemic of LGBTQ+ youth homelessness through compassion, education, and policy change. 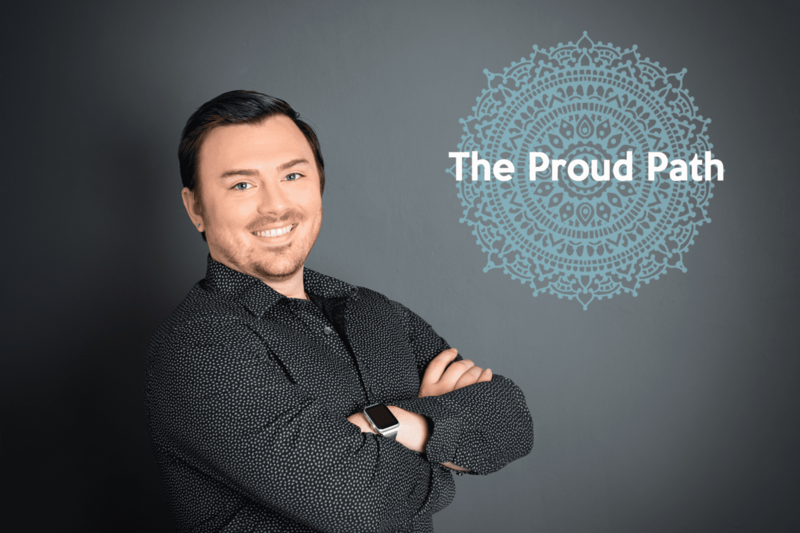 He is the founder of The Proud Path, an educational resource for families with queer-identified youth, and The Pride Alliance, a nonprofit dedicated to LGBTQ+ homeless youth reunifying with their families. Nathaniel has worked with the Anti-Defamation League, Big Brothers Big Sisters of NYC, and several public and private schools to engage dialogue on LGBTQ+ cultural competency, and the very real risks of LGBTQ+ youth depression, anxiety and suicide. Nathaniel uses his background in performance to bring levity to a sometimes scary conversation. He approaches this work with compassion and humor, in order for participants to feel safe and he makes space for real humanness to enter the room. This sense of hope, happiness, and transparency is the perfect place for us all to learn about ourselves and others in a non-confrontational, no-blame environment. Below are a few of the programs that Nathaniel has designed in his course for parents of LGBTQ+ youth. 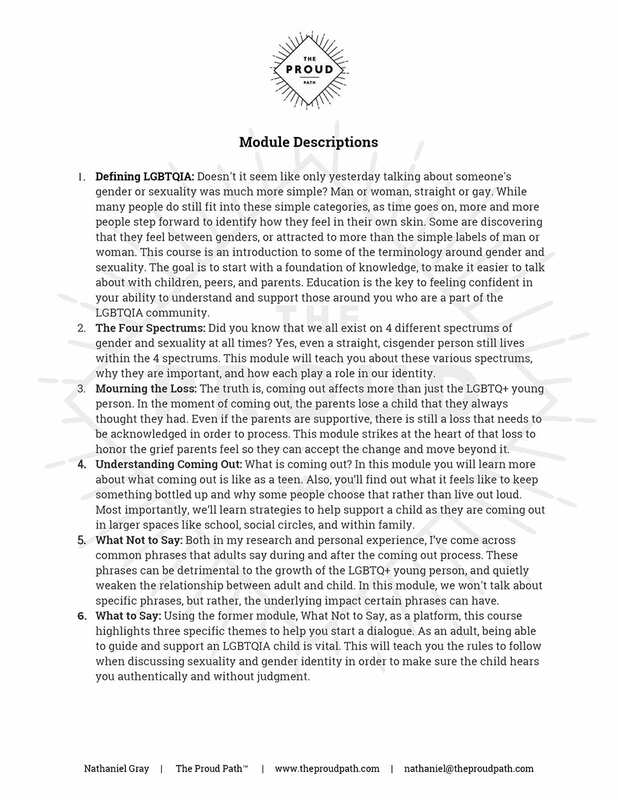 These modules are designed to assist parents in empathizing with their LGBTQ+ child, as well as, foster an environment of queer culture within the home, to connect their child to the LGBTQ+ community. For New York City based engagements Nathaniel's speaker fee ranges from $400-$800 for a range of 45 minutes to 3 hours. Nathaniel has created a host of activities and exercises built to evoke empathy for the queer youth experience, as well as, teach adults proven tools of support for queer youth. For speaking engagements within the U.S. Nathaniel's speaker fee starts at $1,000, not including travel and lodging (which are the responsibility of the booking party). This is the fee for any engagements up to 3 hours in length. Longer workshops and trainings are available upon request, as well as a negotiated rate. Please visit www.theproudpath.com for more information on Nathaniel's work, as well as how to get in touch with him. Find out more about Nathaniel Gray at http://www.theproudpath.com.